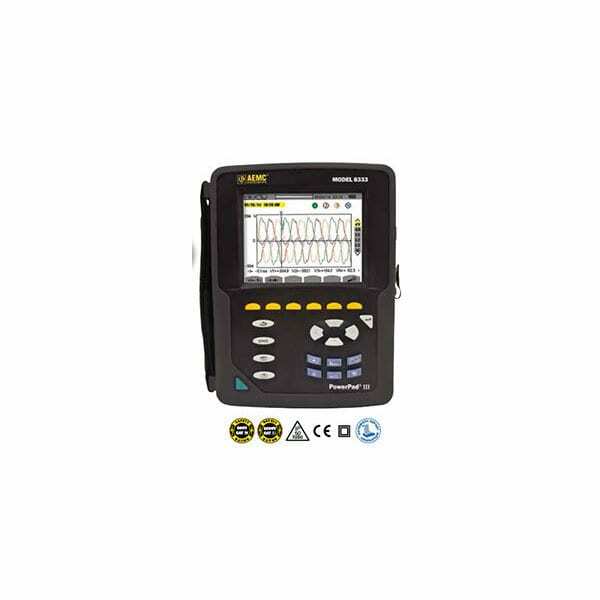 The AEMC Powerpad III 8333 Three Phase Power Quality Analyzer is an easy-to-use, compact and shock resistant three-phase power quality analyzer. 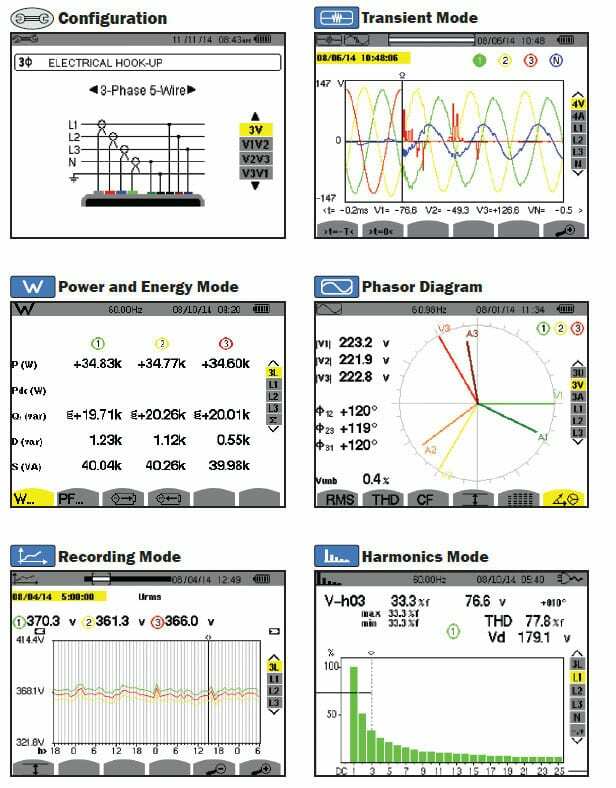 It enables technicians and engineers to measure and carry out diagnostics and power quality work on single- or three-phase networks. Three current and four voltage input terminals are provided are provided. It is IEC 61000-4-30 Class B and safety rated to 600V CAT IV. Model 8333 has memory available for storing trend data, alarms, transients, and snapshot data. Capable of storing up to 12 screen snapshots, up to 51 captured transients that contain four cycles for each active input, and 4,000 alarm events from up to 10 different parameters. Trend data can also be recorded for days, weeks or even months. Kit includes three MN193 current probes, four black 10 ft voltage leads, four black alligator clips, twelve color-coded input ID markers, NiMH battery, 110/240V power adapter with USB stick supplied with product user manual and DataView software.